Normally, books with mermaids fall into a lot of tired tropes; something like Ariel or some use of the sirens of ancient mythology (which, by the way, were actually half-bird and not mermaids). It’s nice to see something that’s a bit refreshing in its use of this fantasy element, but it’s even better to see a book where a sister-brother team are working together. It’d be nice to see the rest of the series available on the shop (or, at least, available in the region for Italy). This is one of my favourite books to read! I was so addicted and I couldn’t put the book down!! Each chapter left me wanting more and more. Best. Book. Ever. Thanks!! Beautiful, believeable. I have never looked at the sea the same way again! 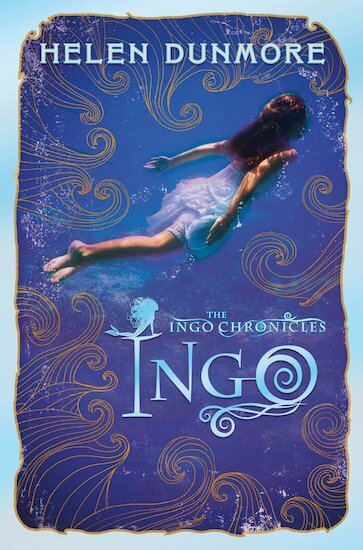 This book was very good and I have read all of the other Ingo books which I could not put down! The author has done well to start a whole new series with the same type of story but with different characters, but I think it is a bit too similar and maybe the author should’ve made it a bit differently.